Passionflower (Passiflora incarnata) is a herb used to treat insomnia, restlessness, anxiety, and bring overall calmness with mild sedation. Onlinestrength analyzed 10 best-selling Passionflower supplements in the United States. We looked at ingredient dosages, filler ingredients, binders, preservatives, and quality of ingredients. Products that contained organic, non-gmo, high quality sourced Passionflower were ranked higher than products that were sourced with lower non-organic quality ingredients. Passionflower supplements that use plant-based capsules were ranked higher than products that used gelatin source capsules. Samples of every Passionflower supplement passed all ingredient quality assays. Supplements received reduced rankings for the use of gelatin capsules, artificial colors, rice flower, preservatives, and binder ingredients. Passionflower vine is a native plant of the Americas and is used traditionally for its ability to help reduce anxiety and cause subtle sedation to aid insomnia and restlessness. Supplementation of passionflower is still used today for its ability to treat anxiety and insomnia. Research states that passionflower increases GABA chemicals in the brain, lowering activity, making you feel more calm and relaxed. Passionflower supplementation is a natural way for individuals treat insomnia and anxiety without the use of harsh prescription drugs. 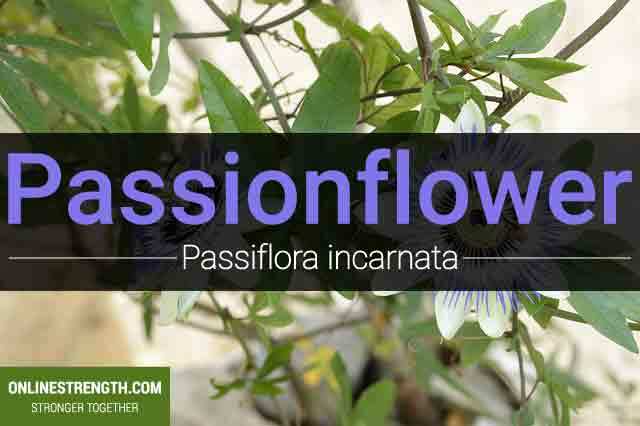 Passionflower causes mild sedation to help users fall asleep without the harsh use of powerful prescription drugs. Passionflower supplementation can help treat those who suffer from crippling social anxiety by calming brain activity. Typical recommeneded intake of dried passion flower is between 4-8 grams per day. 5-10 mL of passion flower tincture 3 – 4 times a day. For best results follow your products supplementation instructions.